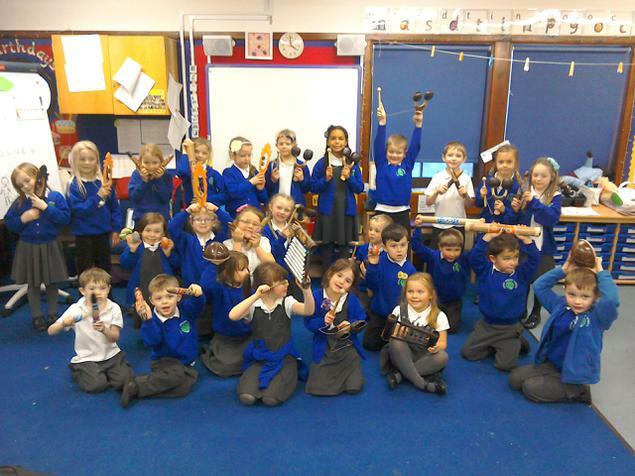 As part of making our school CD, we have been sent a set of beautiful African class percussion instruments. The choir got the first go on them today. Here they are having lots of fun making music with them. Thank you to My School CD!